Blackheads, open pores clogged with dead skin and oil are most common in teens and per-menstrual women. These irritating blemishes occur most often on and around the nose putting them dead center in the middle of the face where they are most noticeable. So of course, we want to get rid of them as quickly as possible. Here are six of the best and fastest all-natural remedies for banishing those annoying little blackheads. Baking soda is an effective treatment for blackheads as well as acne. It helps clear the skin of impurities such as debris and dirt. Mix two teaspoons of baking soda with mineral water to make a paste. Apply the paste generously on the affected skin area and massage gently. Allow it to dry for a few minutes before rinsing it off with warm water. Mix one teaspoon each of cinnamon powder and lemon juice with a pinch of turmeric powder (optional). Spread it on your face, leave it on for 10 to 15 minutes and then rinse it off. Alternatively, mix one teaspoon of cinnamon powder and honey to form a thick paste. Apply it on the affected area before bed and leave it on overnight. In the morning, wash your face well with normal water. For best results, follow this remedy daily for about 10 days. You can also make a paste by mixing together two tablespoons of oatmeal, three tablespoons of plain yogurt, and small amounts of lemon juice and olive oil. Apply the paste to your entire face, leave for a few minutes and then rinse your face with water. Lemon juice, also used in acne treatment, can help remove blackheads. The nutrients and vitamins present in lemon juice are good for all skin types. Put a few drops of honey on half a lemon. For extra exfoliation, you can also add a little sugar. Gently rub the lemon on your face, especially on the blackhead prone areas. You can also mix fresh lemon juice with milk or rosewater to create a facial cleanser and use a few times a week. Green tea can also be used to treat blackheads. Mix one teaspoon of dry green tea leaves with a little water to make a paste. Gently scrub the paste over the affected area for two to three minutes. This scrub deep cleans oily skin and helps unclog pores. The balancing quality present in honey is good for both oily skin and blackheads. Honey hydrates as well as tightens the skin pores, giving you a clear complexion. Apply some pure honey on your face. Leave it on for about 10 minutes. Knee pain is a very common medical condition that occurs due to constant wear and tear of the knee joint. It can be experienced by older adults, young adults and children. Women are more vulnerable to knee pain than men.There are best natural treatments for knee pain. 1-Use ginger extract Another pain relief option that grows naturally is ginger, which can be ingested in several different ways. You can use the fresh root, drink it as a tea, eat it as a dried spice or take prepackaged supplements. Research has discovered that the phytonutrients in ginger reduce the production of chemicals in the body that promote joint inflammation. Together with prescription arthritis medication, ginger can greatly reduce joint pains, since it acts as a natural anti-inflammatory. Be cautious if you take blood thinners, as ginger has the risk of increasing bleeding. 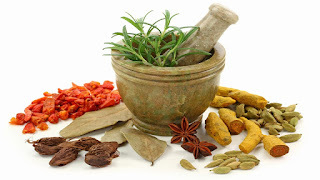 2-Apply herbal ointment A salve made from cinnamon, ginger, mastic, and sesame oil was found to be just as effective as over the counter medicine, in a study published in the Pakistan Journal of Biological Sciences. Traditional over the counter ointments used to treat arthritis usually contain salicylate, which is used topically to relieve pain. 3-Heat and cold therapy It’s worthwhile investing in a heating pad, gel-style cold pack or cool compress for chronic pain. These can easily be found at a drug store, or ordered online. Heat is used to keep joints from stiffening while cold therapy can reduce pain and swelling. Vocabulary is not about flaunting or using flowery, complicated words. It in fact improves your communication in being able to choose the right words with greater precision. This makes communication a lot simpler. Having a good vocabulary opens up your mind. Do not consider them as just words. Each new word corresponds to a new idea. So a large pool of words opens you to new insights and lines of reasoning. These mobile games are perfect to play when your internet is down or when you’re traveling or sitting in a waiting room. These games are amusing and great learning resources at the same time. Whether you are a lover of the games like word scrambles, scrabble, crosswords, word search, spelling bee, hangman, etc. or you are a newbie, these games have always been a great resource to add to the powerhouse of words in your brain. However, if you need to get out of the traditional ones, PowerVocab Word game is created just for you. This is a wonderfully fun game which lets you have command on 350+ challenging new words. The app incorporates adaptive learning software inside it and uses flashcards to make people learn. You can post and share your report card on Facebook and also, play with multiple friends at the same time. The app was designed specifically putting under consideration the students of GRE, SAT, ASVAB and GMAT who need a substantial rise in the vocabulary bank. The app is absolutely free and makes you learn new words without spending money. Hope these apps will be solved your vocabulary issues . There are many type of apps available in Google Play Store to chat with your friends and share media files between your family and friends. Most of these apps can work in all of your devices like your smartphone and tablet. 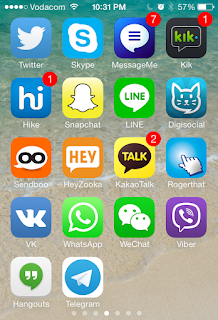 These apps can talk each other regardless of the smart phone operating system. Here are totally free and all kinds of OS will be running these messenger apps better than Whatsapp. ChatON users on your phone so you can find other fellows and chat. WeChat was originated in China and now circles the entire world. Just similar to Whatsapp, the experience starts with entering a number. An SMS will be sent for verification and you are done with the sign-up process. People can find you more easily if you connect an email and Facebook address with your account. The features include picture sharing, sharing your current location, WeChat contacts, and seamless video chat experience. The app is available for iOS, Android, Blackberry, Nokia and Windows Phone users. On Kik Messenger, which is just another Whatsapp alternative for iPhone, BlackBerry, Windows Phone, Android and Nokia users, you register your email address which follows up with a unique username. The app is quite simple and allows you to send messages to friends and groups of people. Unlike Whatsapp, it does not come with the calling feature, however, it is free and user-friendly which makes it worth a try. GroupMe is a chat app better than Whatsapp which features new and innovative ways for group chat. The sign-up process begins with the provision of your email address. Afterwards, your phone number will be verified by sending a code in an SMS. One totally unique feature of this app is its ability to send group messages over phones through SMS. This allows a person with no 3G in a group to receive messages no matter where they are. The app charges a small fee for this feature. This messenger is way better than Whatsapp messenger as it is free on BlackBerry, Windows Phone, Android and iOS. Just as the rest of messengers, the Kakao Messenger also asks for a mobile number to register a person following with a 4-digit verification code. Similar to Whatsapp, it searches for other Kakao users on your mobile to connect. You will be able to initiate group chats, share contact information, send calendar details, receive and send pictures, and share audio notes with your friends. The Kakao Messengers allows calls too, which makes it a complete, great package. The app can be downloaded on iOS, Android, BlackBerry and Windows Phones. The above apps better than Whatsapp are ready for a try. All these apps have different features for different people to suit and the best part is that they all come with a variety of OS support. So, don’t wait any longer and find a chat app according to your requirements which do not ask for day-to-day, annoying upgrades like Whatsapp. Copyright © 2013 Afshi Speaks.